You are currently browsing the tag archive for the ‘wisdom from a cat’ tag. Rick and I are just back from a weekend getaway. It’s amazing how refreshed we feel from just a few short days out of our routine. We are ready to once again engage in our respective worlds of work and everything else that seems to keep us stirred up. We took time to breathe long, nurturing breaths. And perhaps most important, we remembered who we are. Who we really are. 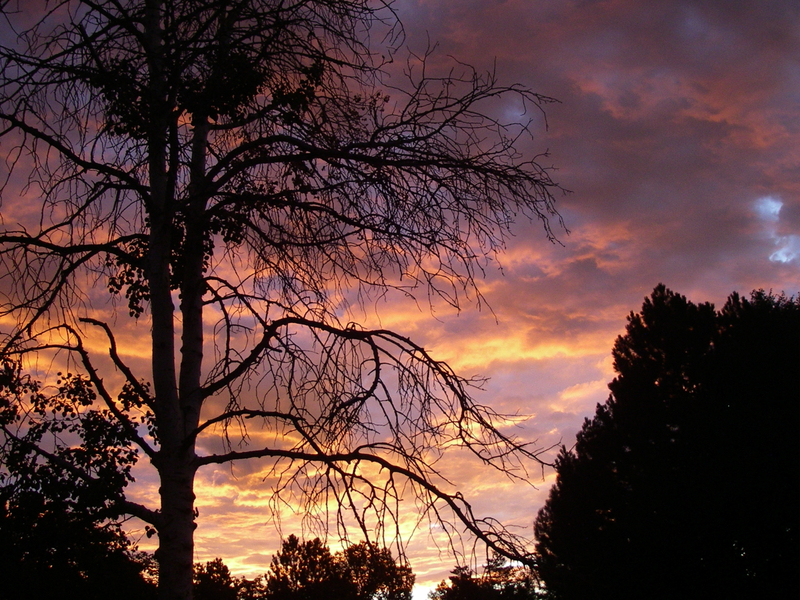 Is it time for a respite from the world? Mija, our aging, sweet little earless cat will tell you that you don’t even need to leave home. A cozy bed and a blanket overhead will do nicely. 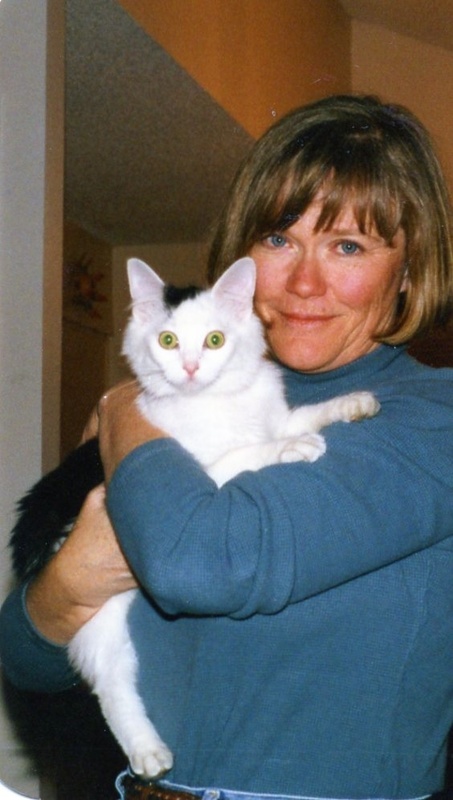 “Mewsings” about life and the business of being a feline, from Jean’s aging, earless cat. Not all cats live in the lap of luxury as I do. There are some of our species that must work for a living. Cats in the workforce aren’t as prevalent as dogs, but some of us do indeed punch the proverbial time clock. Barn cats have a clearly defined job description: Keep the barn free of rodents. And from what I can tell, most do a bang up job of it. Personally, I prefer canned food and kibble, but to each his own. I may have eaten a mouse or two when I was abandoned before coming to live in my forever home, but I don’t remember. I tend to forget unpleasant things. It’s a good coping mechanism and one I recommend to everyone. I also had a brief period of experimentation in my youth where I was fascinated with earthworms, though I never really ate one. I did like to bring them to the door to share with my peeps. They never totally appreciated my efforts though, and in my adult years, I gave it up. I imagine the worms in our garden are much relieved! 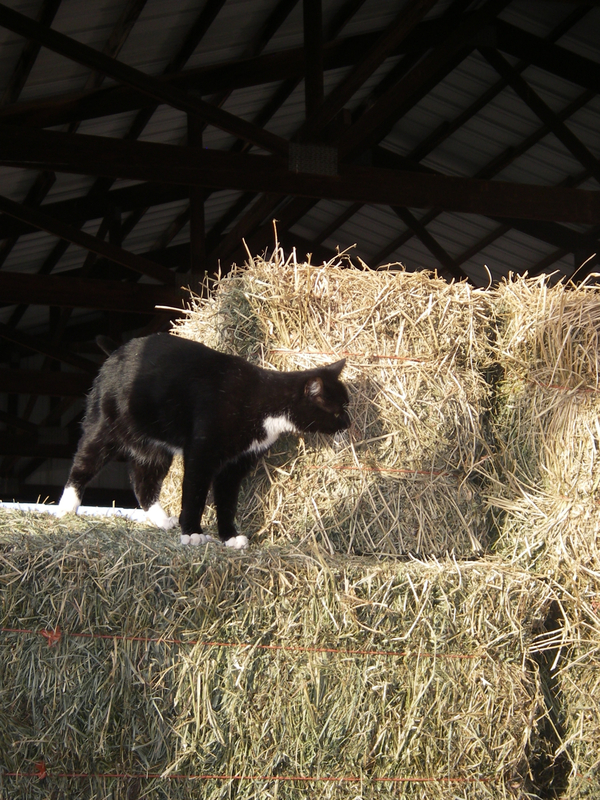 I understand there is a new barn cat out at the pasture – a black and white tuxedo. No one knows his name yet. He’s taking his time revealing all his secrets. But he does like to hang around with my people when they are feeding Bud and Pepper. I can tell from the pictures that he looks nice enough and seems to have a good time at his job. Job satisfaction is an important component of good mental health, which is why I am exquisitely happy with my station in life. My only job is to be charming and loving, and receive with grace the bounty that comes my way. Do you know of other working cats? What jobs do they hold? Cats are like heat-seeking missiles. 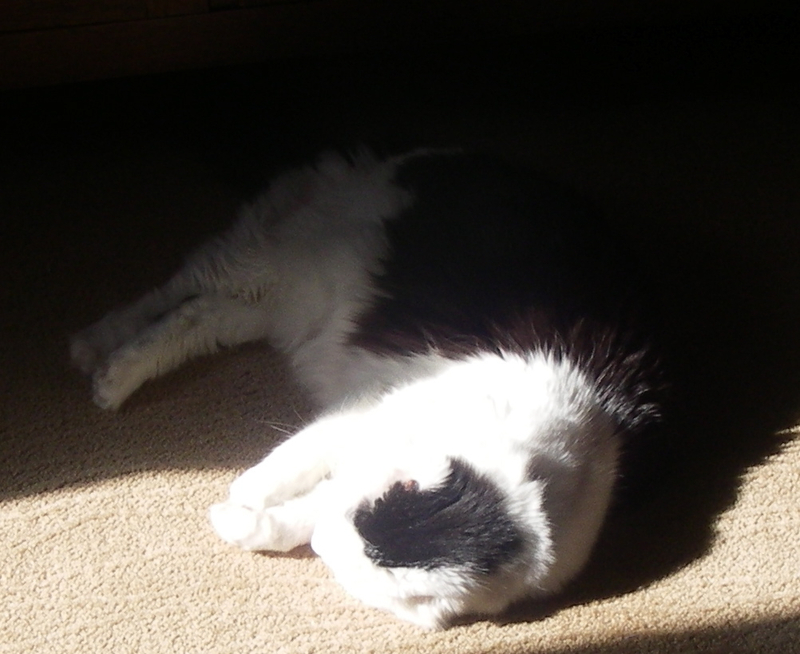 We love to doze in any slice of sun that happens to fall on a comfy stretch of carpet. We’re not all that picky really when it comes to location. The key ingredient is sunshine. In these autumn days of brilliant blue skies and light that makes photographers weep, I am a happy cat. I spend my days circling the house, following the sun. 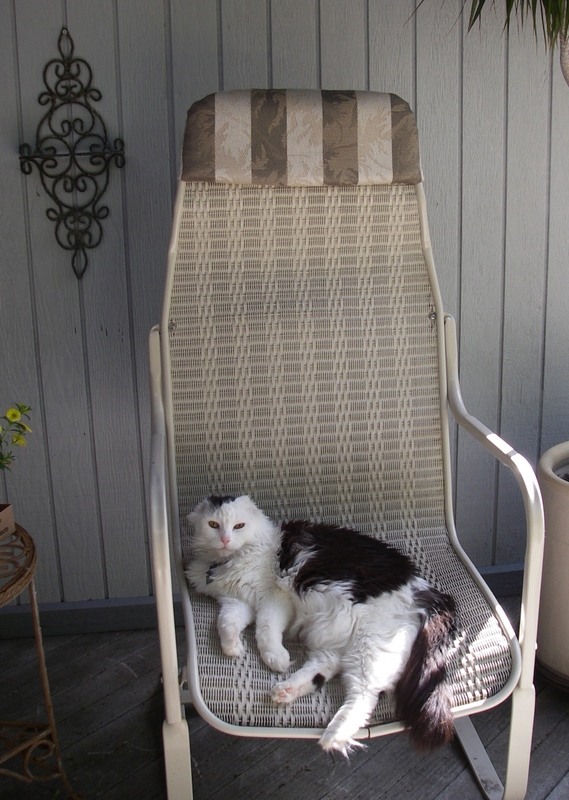 I know all the best spots and do my level best to doze in every splash of sunlight that enters our home. Keep your head in the sun and your whole body will feel the heat. Feel free to quote me on that! This weekend, take a nap in the sun. It will do your soul good. There I’ve said it. I don’t like things in my life to change. I count on my life being predictable. It makes me feel safe. And happy. Here it is almost the end of September, and what’s happening? You see, I love to sit at the edge of the sliding glass doors that open onto the deck and feel the warm summer air on my face. When the urge strikes, I meander outside for a drink of my special alfresco water, sit and ponder the state of the world as I gaze out at the garden. Lately my people want the doors closed in the evening. They’re getting chilly. This disrupts my routine. I’ve suggested that they bundle up with sweaters, or even coats if need be, but they’ve vetoed the idea. Which leaves me with no alternative but to meow loudly every time I want to go out for a drink of water, or to ponder. They get up, let me out, grumble a bit and close the door. Then I must meow again when I’m ready to come back inside. Up they get, walk to the door, grumble some more and let me in. Ten minutes later, we do it again. Depending on how late they stay up, we can do this dance many times in an evening. I don’t have much to say this morning. And if a picture is worth a thousand words, need I say more? 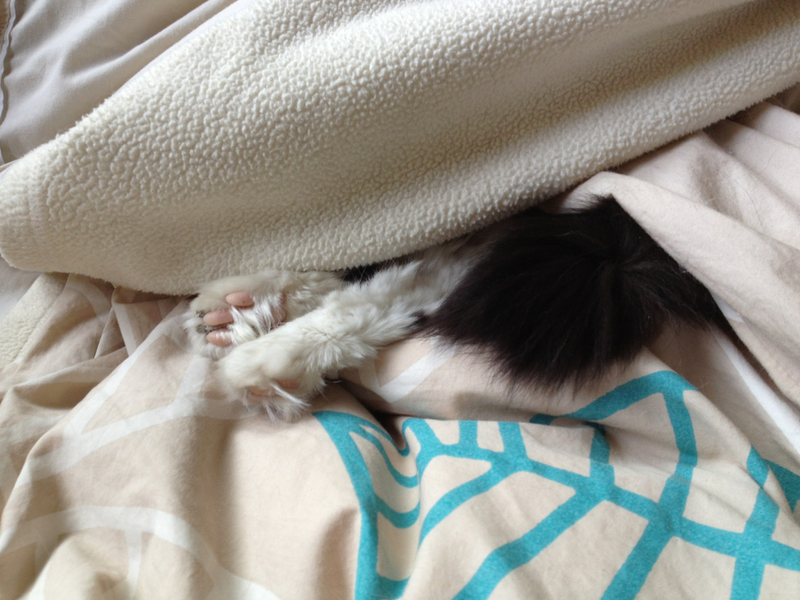 For those of you who may be new to the blog, don’t be surprised when you see something every Wednesday from me – a cat. Yes, I know it’s a blog mostly about horses. But I wanted in on the action because I think I know a thing or two about aging and life too. Today I’m offering you my summer gratitude list. I hope it will inspire you to create your own list, because cultivating a feeling of thankfulness is a lovely way to be in the world. Every day I find at least ten things to be grateful for. Some days I even have more than ten. It is a very entertaining hobby. People who love me enough to allow me to be exactly who I am. Cat treats and the people who invented them. 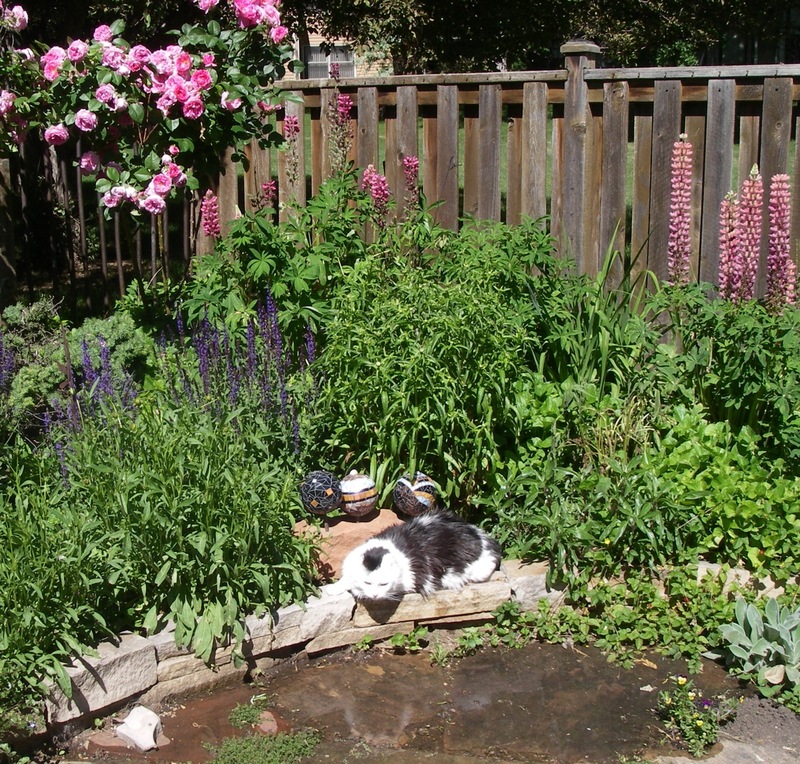 A garden filled with perfect napping spots. Chairs on the deck that fit me perfectly. My bowl on the deck because I adore drinking my water alfresco. A daily comb-out to keep me looking my best. Stimulating conversations with my people. So what’s on your summer list? Notice the things that make you happy and write them down. If you’re so inclined, tell us one or two of your gratitudes in the comment section below. When it comes to our garden, I have an important job. I’m the engineer in charge of water use. I monitor water flow, taste, and overall usage. It’s quite a big task, you see. Gardens don’t simply happen. In this high plains desert where we live, plants require water – usually lots of it. My job is to make sure thirsty plants get their fair share of water. Oh, I don’t actually do the work of watering. No, no, no! I have people for that. My role is much more important. You can usually find me front and center anytime the hose comes out. I love drinking from puddles, clean of course, and meditating on the flowing water. If you haven’t done so, perhaps you should try it. Water is very relaxing. Especially when your people handle it. You do have people don’t you? Cats are known to be aloof and reserved. Not me! I am quite a social being. I love having my peeps at home with me, which usually happens only on weekends and holidays. They have to go to work, which in theory I understand, because I have a certain standard of living they must maintain. But in practice, I want them with me. So on weekends and holidays, we hang out together. They may do a bit of yard work, cook and eat, and take care of minimal house chores, which I sometimes supervise. Mostly we lay low, watch old movies and nap. 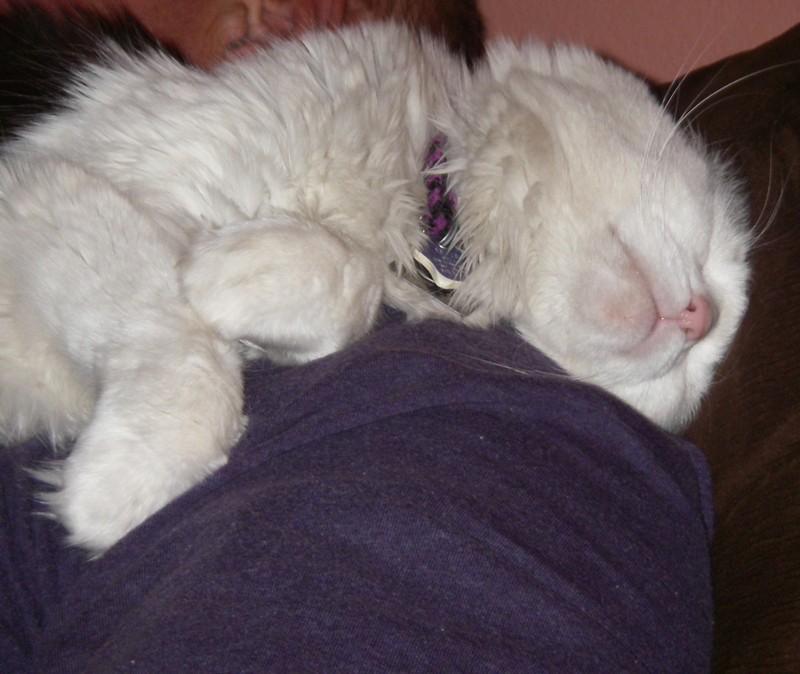 There are distinct benefits to living with older humans. They understand the value of slowing down, resting and taking naps. This is something we cats have understood forever, but humans apparently must age into it. In our house we’re fond of doing a “toes up” in the afternoon. 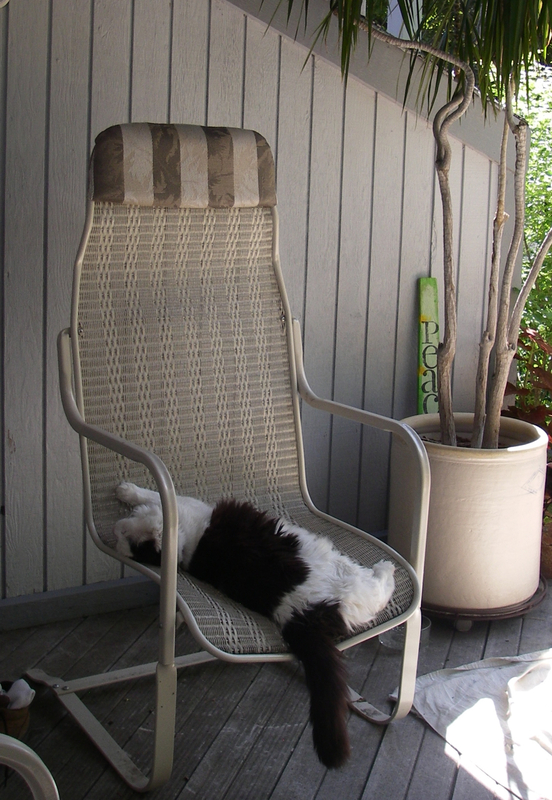 We each take our designated chair, push back the recliner or settle into the cushions of the couch. And then we RELAX. It’s a delicious way to spend an hour or so. If you haven’t done so, you really must try it. Staying busy one hundred percent of the time is quite overrated. How did you spend your holiday weekend? I hope there was a nap or two. P.S. Don’t reserve naps only for weekends and holidays. A quick daily nap will refresh you and make your work more effective. You must trust me on this. 1996 was a very good year. Everyone seems to be celebrating something around this blog: Bud’s birthday, the one year anniversary of the blog, and Pepper’s birthday is coming up. Spring is a busy time for us. I have no idea when my birthday is because I was adopted. You can read that story here if you want a refresher. I do know when I found my peeps. That’s what I’m celebrating today. You can see my adoption photo over there to the left. It was when I still had ears. What I really want to talk about today is making sure there are no more unwanted cats and dogs in this world. I can tell you from first hand experience that it is terrible to be out in the world all by yourself. And it just plain shouldn’t happen. That’s why it is so critical to spay/neuter your animals. Spring is when we start seeing babies. And yes, they are cute as all get out. But unless they have a forever home where they will be wanted, cared for, cherished, and valued members of the family, it isn’t all that great. Cute will only take you so far. Then we’re back to scary, lonely, and dangerous. Please help me spread the word. No more unwanted pets. See this photograph over to the left? It’s my kinda-sorta-cousins, Izzy and Phoebe. 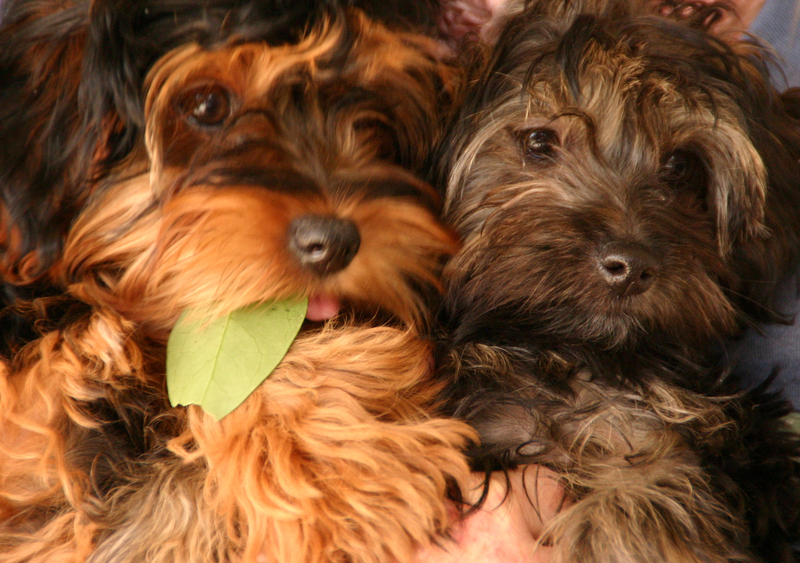 They’re Yorkie-poos. They’re cute and perky and innocent, and full of life. We’re not really related, because, well, they’re dogs and I’m a cat. But we’re family all the same. Sometimes they come to our house for a visit. If I’m being totally honest, I have to say it isn’t my favorite time. They eat my food if we forget to put it up on the counter. And they play with my toys and get them all covered with dog slobber. And worst of all, they sit with my people and get lots of hugs and pets. Hugs and pets that should be coming to me, I might add. Some cats I know would get all huffy and snarl and hiss at the little intruders. They might even scratch them on those cute little noses. I’m practicing being a pacifist. I simply remove myself until they leave. I go up the stairs and take a little nap under one of the beds. Oh, they try to follow, but I’m smart enough to evade them. It’s the least I can do for my Aunt, because I really do love her. She pets me and talks to me and treats me like the important cat that I am. I guess all families have to learn to put up with each other. And really, I wouldn’t have it any other way.